In East of Eden, John Steinbeck paints a picture of his hometown in Northern California—its landscapes, its smells, its sounds, its people. As a writer, I’ve always been jealous of his muse because my childhood home was never fully mine. 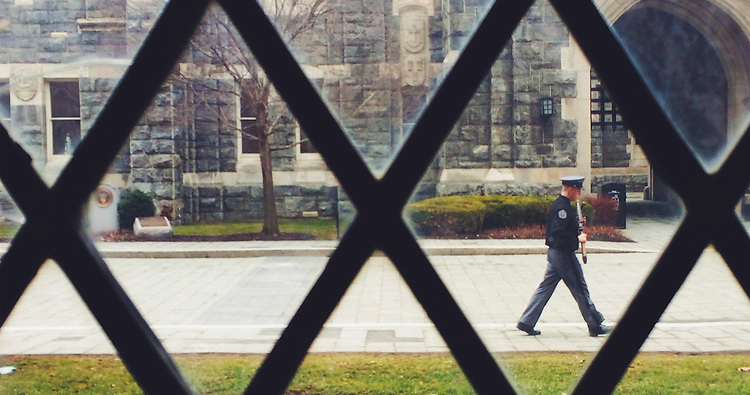 How can I write about West Point when most of my experiences were on the outside looking in? How can a girl with no Class Ring touch the Long Gray Line? As an Army brat, it’s hard for me to remember all the houses I’ve lived in because I’ve lived in so many. But I’ll never forget the house on Ruger Road. Like West Point itself, the house was built in the 1800s and wasn’t afraid to boast its history. It was four stories, with a kitchen in the basement and a dumbwaiter that I once used to send a friend’s cat on a ride to the second story dining room. Because it was situated on a hill, I could climb out my bedroom window onto the top of the garage, and lay out there with my radio while the sun baked my skin. Huge raspberry bushes grew nearby and you could see the Hudson River out most of its windows. I loved that house. We had cadets over constantly. They would fill our living room with the smell of sweat and grass. They would eat all of the food. And best of all, they would tell stories. It’s possible I decided I wanted to be a writer as a child, listening to Dave Shoemaker tell the one about Naked Man streaking through cadet area. Of course, this was before smart phones and social media—before we buried our faces in screens. The college kids came to our house to escape, and even though I was just a kid, they looked me in the eye. When I was ten years old, Matt Kapinos smeared camouflage paint on my face, handed me a broom and taught me how to march. Gil Price, dressed in a fur hat and BCGs, played guitar for the youth group. At football games, the Rabble Rousers let me on the field and lifted me up in the air. And every year, our family traveled to Philadelphia for the Army-Navy game, where I’d sip hot chocolate and feel my hand warmers turn to ice. In high school, my friends and I would sunbathe at Stillwell, watching helicopters fly over, with cadets in camouflage hanging out the side. Growing up at West Point was like growing up at Hogwarts, only I never got to learn any of the magic. I watched from the sidelines, looking on in wonder. Eventually we left the house on Ruger Road and moved to Lusk Area. My mom hosted a weekly FCA meeting for a group of college girls. 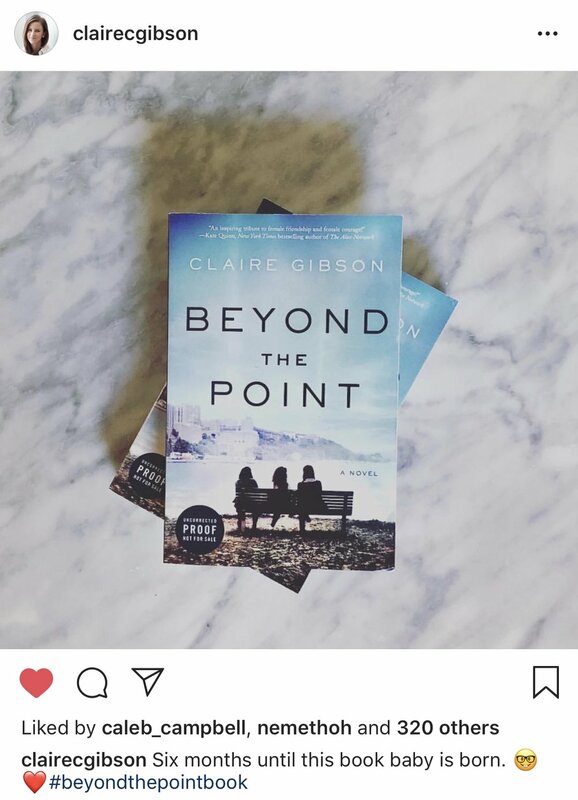 When they came over, I could hear their infectious laughter all the way upstairs, where I’d hide, wishing I could be with downstairs, dressed in Gym Alpha, looking just like those women. Athletic and ambitious, with no makeup on and no less beautiful. My father retired in 2003, just after my sophomore year in high school. We left West Point and moved South, where people assumed I was from New York City. I didn’t correct them. I was pretty certain if I told them where I was from, they wouldn’t understand. Muggles rarely understand magic. And then, four years ago, someone suggested that I write a novel inspired by my time at West Point. Soon, I was e-mailing women I hadn’t seen or spoken to in years: women who were in that FCA group that met in my living room, and old high school classmates that had gone on to graduate from West Point. One after another, they responded and agreed to open up about some of the most challenging years of their lives. After every phone call, I felt more and more honored to hear their memories. I didn’t know what the future held, but something ingrained in me during those formative years resurfaced during every conversation: even if I was never a part of the Corps of Cadets, I was still accepted as a member of its extended family. The last four years have been a mess of creative ups and downs on the journey to becoming an author. But one thing is certain: the magic is real. I feel it. And the more people I talk to, the more I’m confident that they feel it too. Because as it turns out, the magic wasn’t in the helicopters, the houses, or the ruck marches I watched from the sidelines. It was the people.